The Mt of Olives rises to the east of the Temple Mount, across from the deep Kidron Valley. Its three peaks (the Mount of Olives proper, Mt Scopus and the Hill of Evil Counsel) stretch over a 2-kilometer length and overlook the Old City, offering an unparalleled view of where the Temple of Jerusalem once stood, and the Noble Sanctuary (better known as the Dome of the Rock) now glitters. It is here you will find the world's oldest, largest and most famous Jewish cemetery, as well as the greatest concentration of Christian sites outside the Old City. This mountain figures prominently in Jerusalem history. It marks a clear geographic boundary between the city and the Judean desert, and its proximity to the Temple Mount has given it great importance in Jewish tradition. It is first mentioned in the Bible when King David sought refuge here as he fled from his rebellious son Avshalom. However, Jewish tradition says that the olive branch which the dove brought back to Noach and the Ark was plucked from a tree on this mountain. In the days of the Second Temple, it was here that the ceremonies heralding the new month were held and that the ashes of the Red Heifer were prepared. In fact, Talmudic sources say that a bridge connected the Mt of Olives to the Temple Mount. When the Romans besieged Jerusalem in 70 CE, the 10th Legion camped on these slopes overlooking the city. After the fall of Jerusalem, when Jews were banned from entering Jerusalem, they often congregated here to pray. Since the Mt. of Olives towers 80 meters above Mt. Moriah and the Temple Mount, they could see the ruins of the Temple to which they no longer had access. The custom also developed of coming here on Tisha B’Av, the 9th of Av, to lament and mourn its destruction. According to the Prophet Zechariah (14:1-4), it is here the Messiah will stand at the end of days, when the nations of the world gather to make war upon Jerusalem, and a great earthquake will rend the mountain, creating a great valley at its center that will run from east to west. Photo by gilabrand, under a GNU free documentation license. 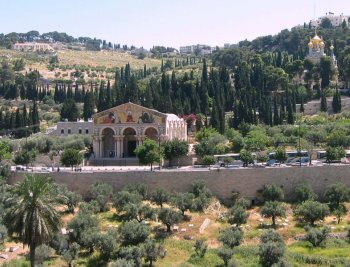 Most of the real estate here, however, is taken up by the Mt of Olives Cemetery. 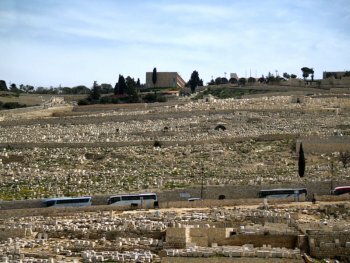 The Mount of Olives – Har Hazeisim, in Hebrew – is the oldest, continuously operating Jewish burial ground in the world. It has been used at least since the First Temple period. This is partly due to geology, since the ground here is easily chiseled chalk, as opposed to the hard granite that typifies the Jerusalem area. It is also due to the spiritual and historical importance of the area, and the Jewish belief that those buried here will be the first to be raised from the dead at the end of days. Together, these factors have made this the most famous Jewish cemetery in the world. There are over 150,000 graves here, include those of many notable individuals. 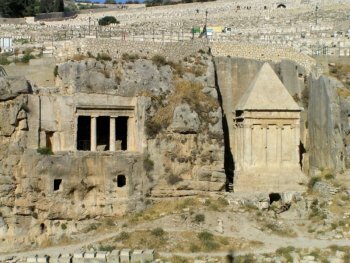 A few of the personalities buried here include Avshalom (King David's son), the prophets Zecheriah, Haggai and Malachi, the prophetess Hulda, the Ramban (Nachmanides), Bartenura and Ben Ish Chai. 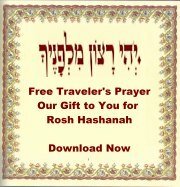 The list of important ancient and modern Rabbinical and Chassidic leaders would run several pages. You'll also find Israeli figures such as Menahem Begin; Henrietta Szold, founder of Hadassah Women's Organization; Rivka and Gabriel Holtzberg, the young Chabad couple so tragically murdered in the Mumbai massacre in 2008; as well as some more unexpected residents, like Boedil Thurgotstatter, a medieval Danish queen buried here in 1103, and Princess Alice of Battenburg, the mother of Prince Phillip, mother-in-law to Queen Elizabeth II. Photo by David Shankbone, under a cc by 3.0 license. The only time period from the Biblical era to the present, during which the cemetery was not actively used was between 1948 and 1967. In 1948, the Mount of Olives ended up on the Jordanian side of the cease-fire line. In flagrant disregard of the armistice agreement that was meant to guarantee access to religious sites for all, the Jordanians refused to allow Jews access to the cemetery. More than 50,000 graves were deliberately desecrated. The former Intercontinental Hotel (now the Seven Arches Hotel) was intentionally build over a section of the ancient burial ground, and a road leading to it cut over hundreds more graves, many of them from the period of the First Temple. Gravestones and historical monuments were used for paving, bones were scattered and trampled on the ground. The area returned to Jewish hands in 1967 and, since then, restoration work has been going on, trying to salvage the ancient tombs. Unfortunately, to this day the graves are being systematically vandalized, destroyed and desecrated, while mourners are often harassed and physically attacked while they pray at loved ones' graves. The following video movingly portrays the heartbreaking situation of this holy ground. 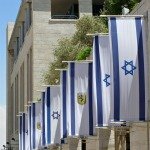 It was prepared by the International Committee for the Preservation of Har HaZeisim. 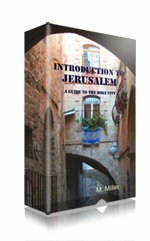 Only have a day or two in Jerusalem? Download our guidebook and make the most of your time here.